If your social media newsfeed is like mine, it’s likely flooded with headlines about toxic kale, poisonous pesticides and an easy-to-print “Dirty Dozen” or “Clean 15” shopping list. Much of this clickable chaos stems from a recently released report by the Environmental Working Group. Each year, the advocacy group publishes a list of the 12 fruits and vegetables most contaminated with pesticide. It determines the “dirty dozen” based on pesticide residue levels reported by the United State Department of Agriculture’s (USDA) Pesticide Data Program (PDP). At first glance, these headlines can make you question the food in your fridge. But after a little research, it’s clear this ominous list is oversimplified and sensationalized. Scientists and health experts agree the way the report analyzes data is flawed because the mere presence of pesticide residues does not mean they are harmful. When accurately assessing risk, three important factors should be considered: the amount of pesticide found, the amounts of food consumed and the toxicity of the pesticide. Pesticides are used by both organic and conventional farmers to protect plants from weeds, insects or fungi as they grow. All pesticides – no matter if it’s a synthetic or organic compound – are carefully handled and must meet rigorous safety standards before they can be used by farmers. The Alliance for Food and Farming’s Safe Fruits and Veggies website offers a free pesticide residue calculator. The calculator uses information from the USDA’s PDP to calculate how many servings an adult male, adult female, teen or child could consume each day without any effect, even if the produce had the highest pesticide residue recorded by the USDA. An adult male could consume 26,061 servings of kale in one day without any harmful effects. An adult female could consume 454 servings of strawberries in one day without any harmful effects. A child could consume 340 servings of apples in one day without any harmful effects. When these factors are considered, it’s clear fruits and vegetables are safe to consume. The most concerning part of the “Dirty Dozen” report is that it runs the risk of scaring people away from eating fruits and vegetables. “If we skip on fruits and vegetables, our bodies miss out on antioxidants and vitamins – especially Vitamins C and Vitamin A – that are important for a healthy immune system and reducing risks for chronic diseases,” says Anne Hytrek, a registered dietitian at the Ankeny Prairie Trail Hy-Vee. Studies repeatedly demonstrate that at least five servings of produce can significantly reduce the risk of mortality. Yet, a 2018 Center for Disease Control (CDC) study finds that only one in 10 Americans eat enough fruits and vegetables. 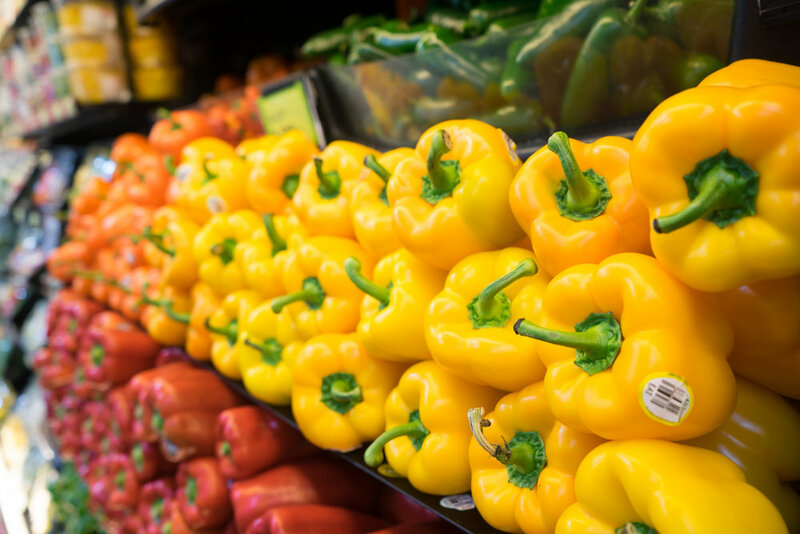 No matter if your produce is grown organically or conventionally, it’s always important to wash and properly handle fruits and vegetables to prevent foodborne illness. Federal health officials estimate that nearly 48 million people are sickened by food contaminated with harmful bacteria each year. For additional details, visit the FDA website.